The Cartier expertise that has led their horological craft to the top ranks of the industry continues to excel. While their decorative skills and jewelry-making capabilities place their works in the beauty of the eye, their complications know-how and technical prowess maintain them in the appreciation of the mechanical creations that are almost too small to see… and in some cases, cannot be seen even if they are right in front of you. 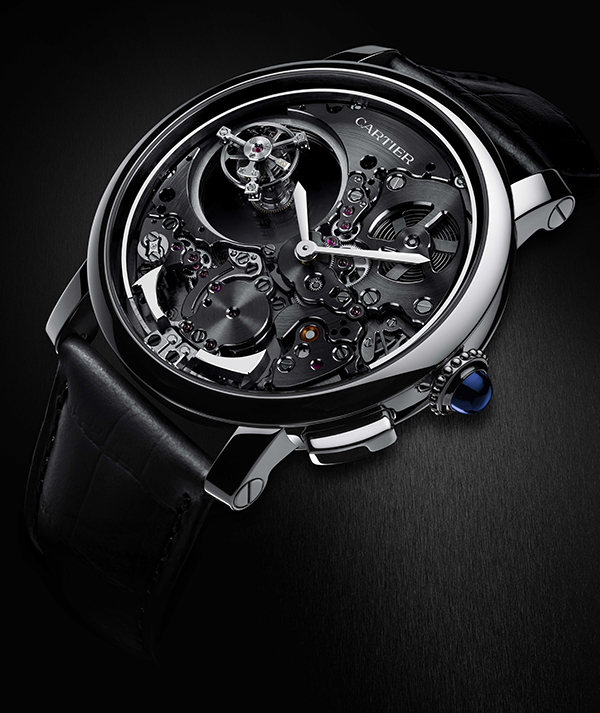 So it is with the Cartier Minute Repeater Mysterious Double Tourbillon. 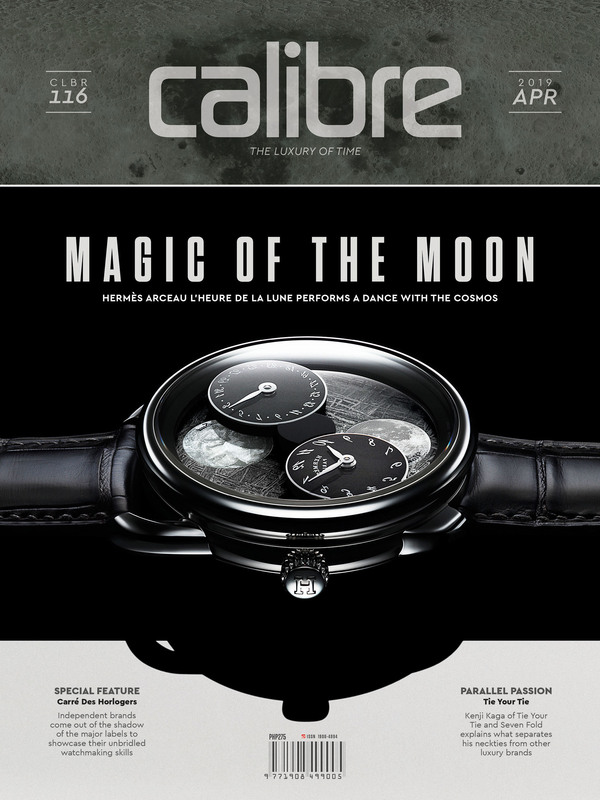 The Minute Repeater Mysterious Double Tourbillon is, in a very real sense, a fusion of the old and new… or, if you like, a fusion of the very latest techniques of rendering the old. The watch is an incredibly lovely timepiece, and it is striking – not only in the horological sense, because it chimes, but in the conventional sense, because it is drop dead gorgeous. But I digress: the Cartier Minute Repeater Mysterious Double Tourbillon is a modern combination of three very old concepts. You wouldn’t know it to look at the watch, because it’s so achingly modern that it practically has space travel written on it, but the truth is that despite the state-of-the-moment look, the watch has a pedigree behind it that stretches back, in one case nearly a century, and in the other two cases much further. The three features I’m talking about are the ones right in the name of the watch: the Mysterious Hours, the Minute Repeater, and the Tourbillon. Now, the Mysterious Hours is a Cartier specialty that dates back to 1925. If you look at the pictures of our watch here, you’ll notice that the hours and minutes hands seem to be floating in midair. They are telling the time, but they are seemingly attached to nothing at all. These mysterious hours – this trick of time-telling suspended in space – is something that Cartier has been doing since the Art Deco era. It was as wondrous then as it still is today, because despite our jaded exteriors and our wealth of knowledge, we are (hopefully) still enchanted enough by the supernatural to be astounded and delighted by the vision of two watch hands floating in the middle of nothing. Cartier has been doing timepieces with the mysterious hours ever since, originally with clocks, and with wristwatches as well. And even though the dial of the Mysterious Double Tourbillon is a very busy place, it is not so crowded by things that are there that we fail to notice the things that are not. Minute Repeaters have a considerably longer history than the Mysterious Hours. They are also a mechanical creation that have been around a long time, and are still around today… but they aren’t exactly widespread among watchmakers. Mysterious Hours are exclusive to Cartier; Minute repeaters, on the other hand, are just rare because they’re difficult to make. And expensive. They require considerable technical skill, of course, but also an artistic sense of a kind that most watchmaking doesn’t utilize. Precision, accuracy, even aesthetics all come into play when watchmaking happens, but minute repeaters produce sound as well, and the sound quality is, naturally, essential. Minute repeaters are chiming watches, sound-producing, but sometimes it takes a dose of perspective to see their usefulness. I used to think of chiming watches as kind of a superfluous pleasantry, but they actually date from a time when light sources were not easily available at night. In other words, by activating the chime on your watch, you could tell what time it was even though you couldn’t see the hands. That had never occurred to me (I actually read about it in a book) and it puts the whole idea of a minute repeater in (you’ll pardon the expression) a new light. 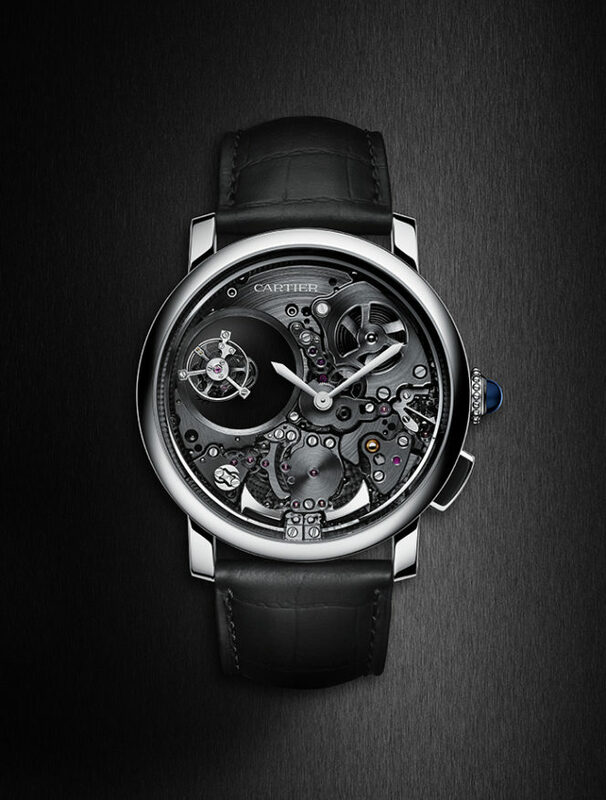 And then of course there’s the tourbillon. Tourbillons are also a descendant from an earlier time; they hearken back to when people carried their watches in pockets, and didn’t wear them on wrists. Because the pocket watch spent more time in a single orientation, the effect of gravity on the mechanisms was more pronounced. The tourbillon was designed to keep the movement spinning around, and thus spread out the effects of gravity, effectively nullifying it by having it pull in all directions equally. This need is less pronounced in the modern day since we keep our watches on our swinging arms and not in our stationary pockets. Still, the tourbillon serves a purpose, and people love them. It’s tough not to. 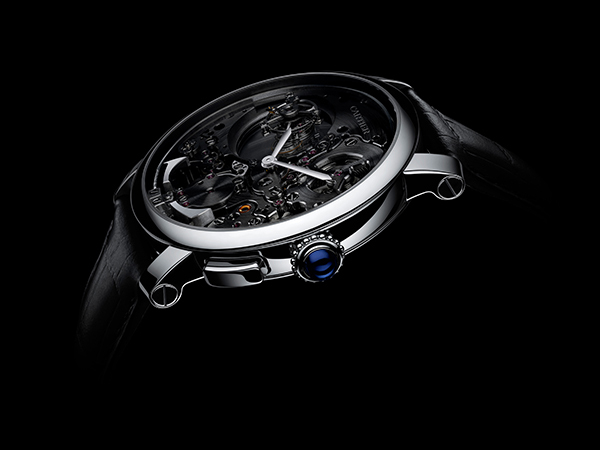 Tourbillons are beautiful, they’re dynamic, and they fulfill at least SOME function. Frankly, a lot of people I know can’t live up to those criteria. Those three functions may be the ingredients, but the Minute Repeater Mysterious Double Tourbillon is more than the sum of its parts. The beauty of the watch is haunting, and the extremely modern appearance of the piece is a welcome novelty. 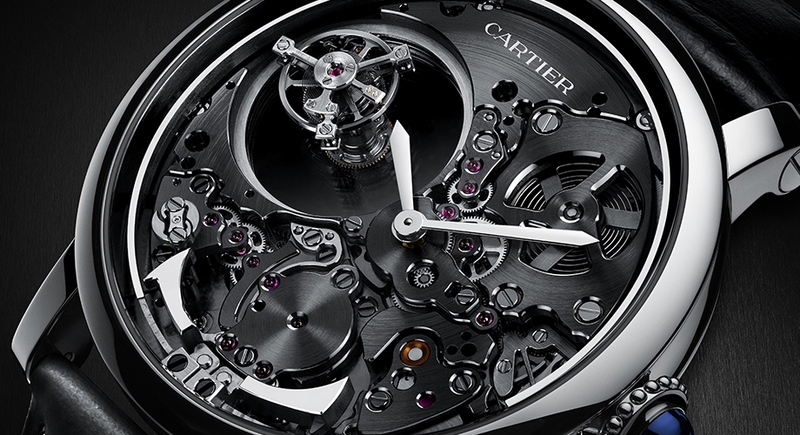 The timepiece has a very raw look, as if Cartier has decided to find its aesthetic in the cold black machinery of it. There’s almost nothing nonessential on display. The mechanics of the piece are all there is, and they have been shown in all their uncaring glory. The brand has taken the hardware and made the basics into beauty. The way that Cartier has created this single timepiece is more than a combination: it’s a work of art.